Inshore light tackle fishing along the waters of the Pamlico Sound near Hatteras, Frisco, Buxton, and Avon. Here you will experience the best of back-country and flats fishing and find why it is off the hook one of the best fishing spots. 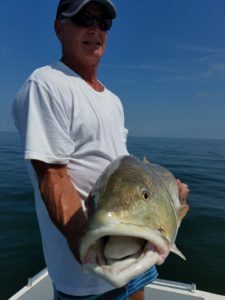 We’ll catch lots of different fish but one of the most exciting is the red drum. I’ll guide you to filling the coolers all while creating memories to last a life-time. Also checkout the option for fly fishing if that is your interest. The Red Drum is the State fish. Nice part is Hatteras holds the record for the world record. Hard fighting fish that makes it all worth the catch. They are located here in the shallow waters of the Pamlico Sound and the Outer Banks coastal waters of the Carolina coast. Great table fair and a local favorite. I have over 30 years of experience fishing from the blue water to back-country. My primary focus is to put you on the fish and create a day you will want to share again and again with friends and family. So many people miss out on the awesome inshore fishing opportunities they can experience while visiting Cape Hatteras. Don’t let yourself be one of them. 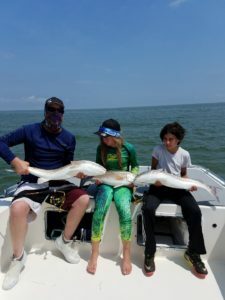 Come down to Hatteras and enjoy the best of inshore light tackle fishing as we head out to find red drum, flounder, bluefish, gray trout, spotted sea trout, cobia, and the many other species that swim in these waters. We will be leaving out of Hatteras Harbor Marina to fish the shallow grass flats of the Pamlico Sound. 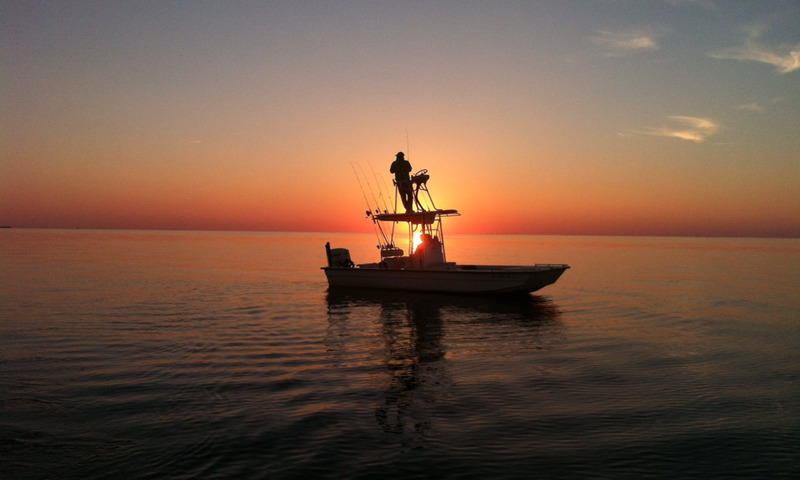 Using light tackle, we’ll start fishing in the Pamlico Sound. If conditions are right, we may venture out through the Hatteras Inlet to do some inshore and near shore fishing for cobia, spanish mackeral, and albacore. Anyone interested in fly fishing is also welcome. I have equipped by boat with popup cleats to help remove any possibility of causing snags in your trip. Many anglers enjoy fly fishing in the Pamlico Sound. Tightline can also provide an afternoon of clamming/crabbing. Clamming is a great way to cool off and soak your feet in the warm water of the Pamlico Sound. If you’re looking for a one of a kind adventure, book a trip to pull some crab pots and clam digging. Take home up to 200 clams and a bushel of crabs for dinner. BOOK NOW!! !